A Nottingham primary school has been praised for creating a happy and respectful environment that encourages children to improve and expand their horizons. Ofsted inspectors said Robin Hood Primary has a sense of ‘calm and purpose’ – and that improvements in teaching are making a positive impact on pupils’ progress and attainment in maths. the expertise and commitment of staff that enable the school’s most vulnerable pupils to succeed. The latest report means that the school, in Beckhampton Road, Bestwood Park, has maintained its ‘Good’ rating. Commenting on the report, Head Teacher Nicola Bridges said: “We work closely with parents, governors and our wider community to ensure children are at the centre of everything we do. 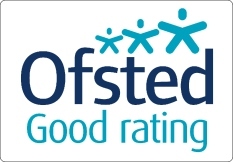 Cllr Neghat Khan, Portfolio Holder for Education and Skills in Nottingham, said: “I am pleased that Robin Hood Primary continues to be rated as ‘Good’ by Ofsted. Everyone should be proud of their hard work and dedication. Currently, 87% of children in Nottingham go to a school that is rated as ‘Good’ or ‘Outstanding’ by Ofsted – that’s the highest in the East Midlands and above the national average.